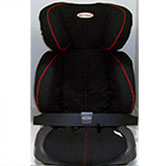 Major Child Restraint Manufacturer & Supplier. National Child Restraint Laws & Information. NSW Government Regulatory Authority that builds major roads, promotes road safety, manages traffic, regulates vehicles and licenses drivers. New national child restraint laws were introduced in NSW on 1 March 2010. All children up to seven years of age must now be safely fastened into the right restraint for their age and size. A child that is properly secured in an approved child restraint is less likely to be injured or killed in a car crash than one who is not. Australia's largest Member organisation, NRMA Motoring & Services provides a range of services for our Members and the community, car reviews , a diverse range of motoring, travel and lifestyle benefits, as well as products & services. The Child Restraint Evaluation Program (CREP) gives consumers independent and consistent information on the levels of occupant protection from injury in a crash provided by child restraints and the ease with which they can be used correctly. We provide technical support and advice on the correct use and installation of seat belts and car baby seat safety restraint systems. All members of the community and Authorised Restraint Fitters can contact Mobility Engineering any time during business hours for technical support or advice. Kidsafe is the trading name of the Child Accident Prevention Foundation of Australia. It was founded in 1979 by a group of health, legal and business professionals focused on the prevention of accidental injuries to children. As a non-government not-for-profit charity organisation, Kidsafe is internationally regarded as a leader in injury prevention and has relationships with government, research and advocacy organisations around the world, including the Child Accident Prevention Trust in the United Kingdom, and Safekids Worldwide, including partner organisations across the globe. Kidsafe works at the national level with partners, such as government departments, industry bodies, education providers, health professional , the media, community groups and voluntary organisations, to address child safety injury issues including car safety & child restraints.